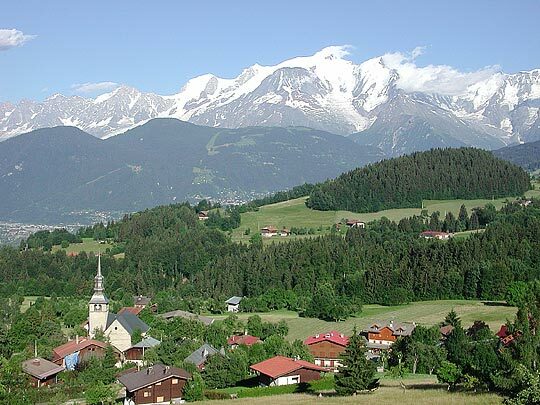 The village of Cordon lies above the town of Sallanches and is often referred to as "The balcony of Mont Blanc" and has a superb 360° panorama of mountains. 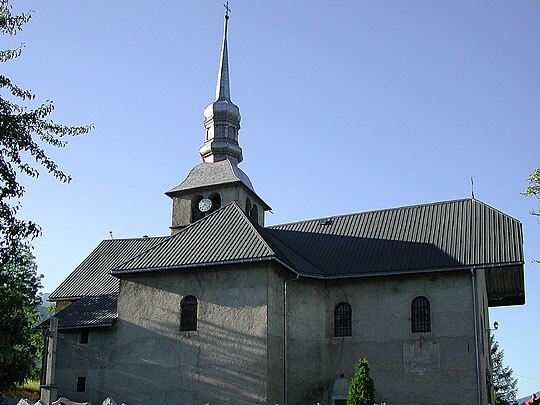 The church of Cordon, L'Eglise Notre-Dame de l'Assomption, was built 1781-7. 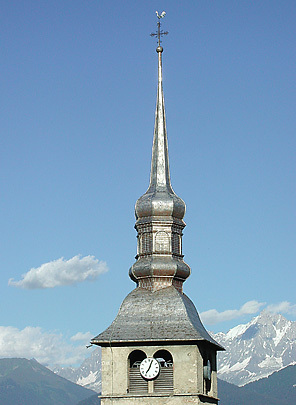 The shiny onion-domed spire dates from 1816. 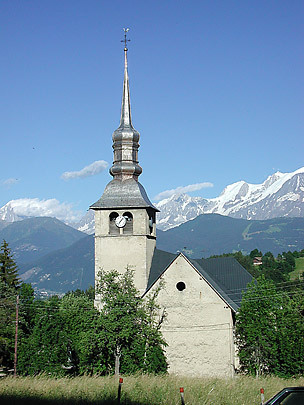 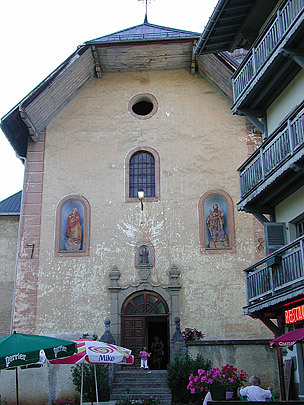 The church is a prime example of the Savoyard baroque style. 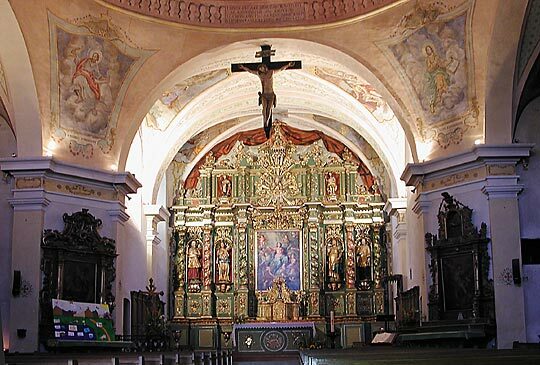 Inside, a highly decorated altar-piece with twisted columns. 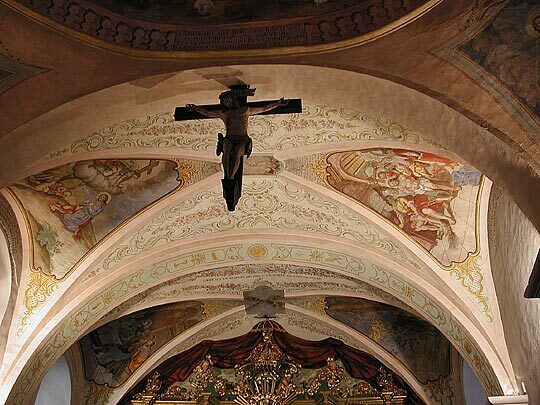 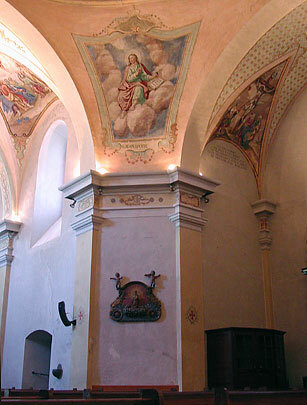 The nave, chancel and transepts have fine vaulted and painted roofs. 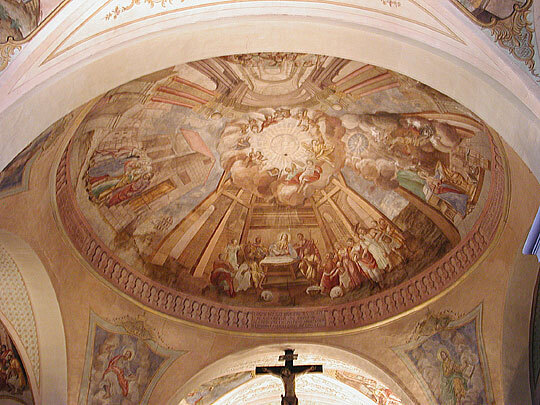 The crossing has a cupola supported by four piers with pilasters . 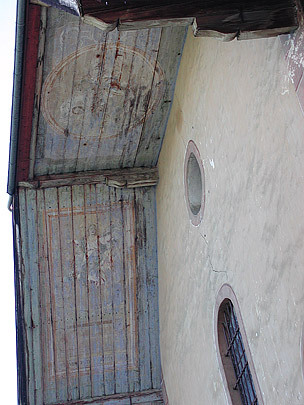 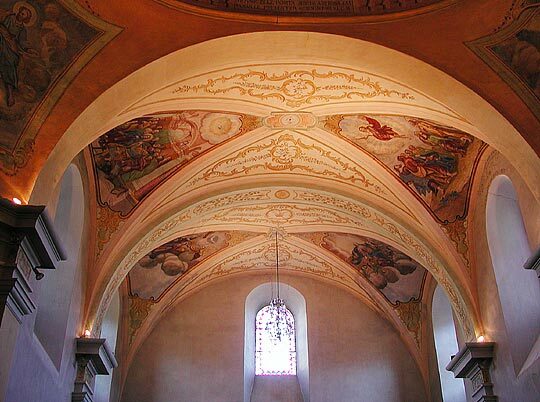 The spaces above the piers and the cupola are also richly painted, the latter in a trompe l’oeil architectural motif.